LAS VEGAS?Home security systems evoke images of sophisticated surveillance equipments sold by security companies and installed by blue-suited specialists. But thanks in part to the smartphone, less complicated, Internet-connected home security concepts are becoming more available and popular. 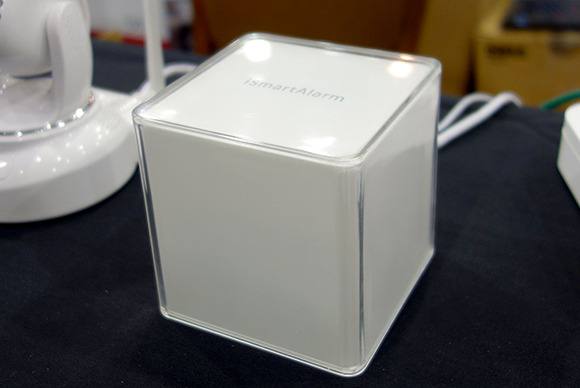 Case in point is iSmartAlarm, a startup company selling a suite of iPhone-compatible home security products via an Indiegogo fundraising campaign that launched here at CES on Tuesday. The company hopes to raise $100,000 by selling the first production run of its products via the ?crowdfunding? website, so that it can then produce more products (and maybe drum up some publicity). The $250 package available on Indiegogo includes the CubeOne (shown above), a square base that controls the whole system. That system comprises a series of motion sensors that detect movement in the house, some contact sensors to detect breaches of windows and doors, a camera and a remote control. 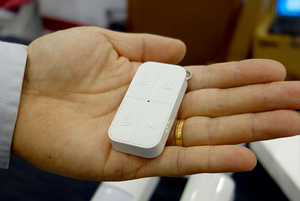 You control the wireless products on your iPhone. 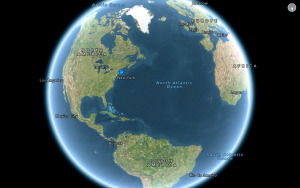 With a swipe across the screen, you can control the angle of your camera. Give the kids a remote and you can tell when they come home from school. You program the system to notify you by phone or app notification when the alarms are triggered. Zac Sutton, the company?s marketing manager, said the products are currently only available as a package, but iSmartAlarm plans to sell individual pieces in May. Sutton said iSmartAlarm?s goal is to equip you with a security system you can expand or collapse as needed. If you need more cameras, remotes, or sensors, you?ll be able to easily (and affordably) add to them to your collection, Sutton said. So what advantage does iSmartAlarm have over similar smartphone-controlled security systems? ?Cost ? most security systems still have monthly fees,? Sutton said while showing off the glossy, white product line at the company?s booth Monday night. iSmartAlarm isn?t a commercial-grade security system by any means, but its low price and ease of use make it a compelling option in a realm dominated by costly installed systems. For more blogs, stories, photos, and video from the nation's largest consumer electronics show, check out our complete coverage of CES 2013. This story, "iSmartAlarm secures your home with help from your phone" was originally published by PCWorld.